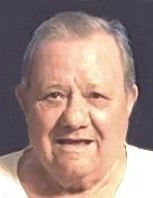 Vincent Ricci, 84, of North Providence passed away, Saturday, October 13, 2018 surrounded by his loving family at Hopkins Manor. He was the husband of the late Maria D. (Scungio) Ricci. Born in Scapoli, Italy, he was the son of the late Ludovico and Maria (Rufo) Ricci. Mr. Ricci was the owner and operator of American Tile & Marble Co., Inc. He is survived by his son, Vincent T. Ricci and his wife Debra; two grandchildren, Pamela Ricci and her boyfriend Joseph Belluscio and Amanda Brockway and her husband Andrew; and a sister, Rosalie Leo. He was the father of the late Michael L. Ricci and brother of the late Giulio Ricci and Maria Ricci-D’Ambra.